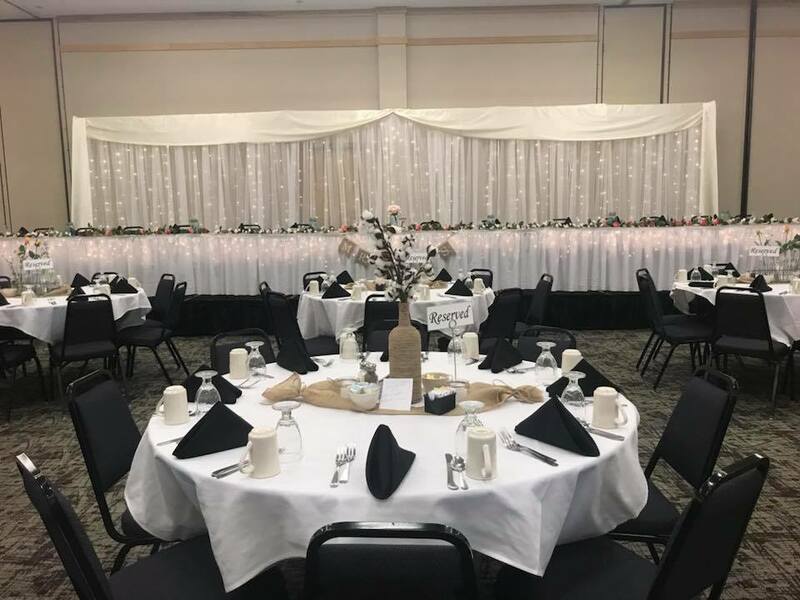 The Wright Ballroom is the perfect space for your wedding, anniversary or reunion. With room for up to 600 guests, you won’t have to leave any of the family out. 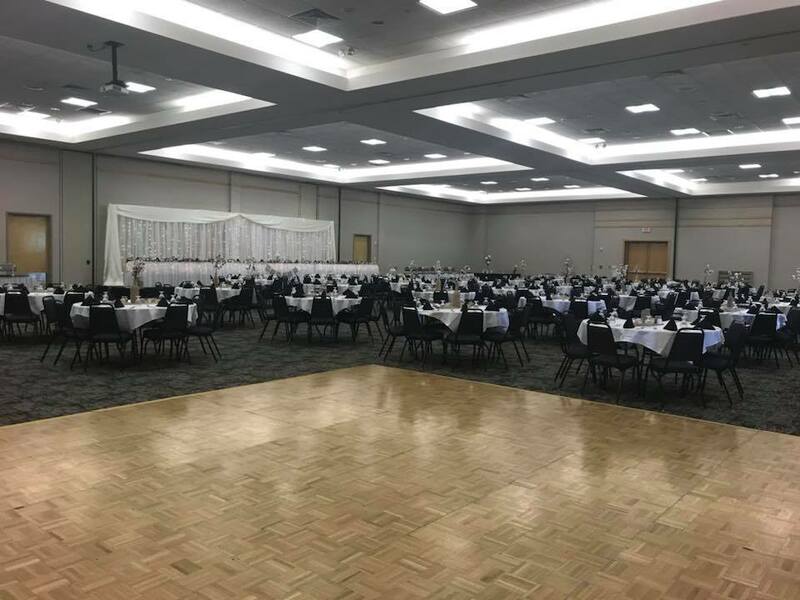 Our elegantly designed Wright Ballroom features vaulted 14’ ceilings, customized lighting and a variety of layouts to make your event one-of-a-kind. Conveniently connected is our Pre-Function Area, which is useful for your receiving line, gift tables and social hour. 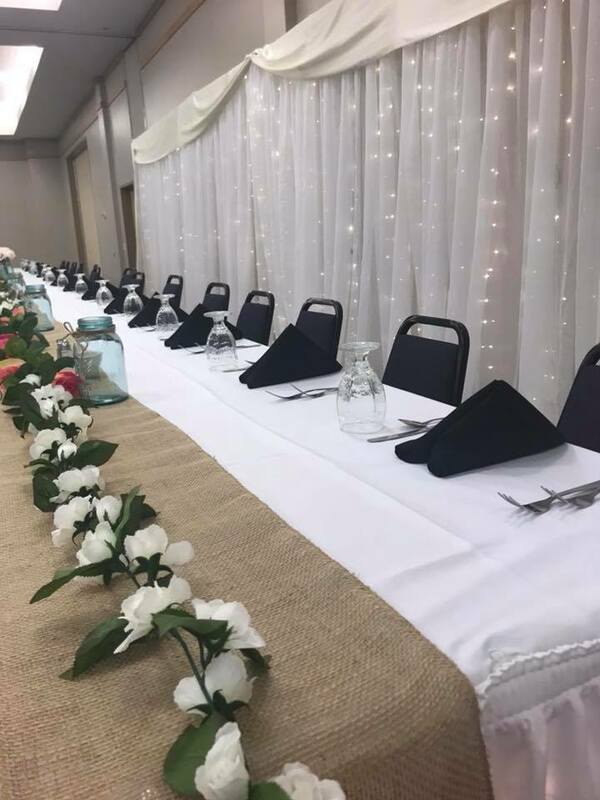 We offer a wide variety of services to meet all of your needs including additional decorations and video presentation set up. We are happy to assist you during your wedding planning process and answer any questions you may have. Complimentary Bonus Room: Our brides love this room to customize and use for anything! Use it as a bridal suite to get ready in, use it for daycare during your reception or use it to store extra decorations! Don’t forget to ask us about our Platinum Bridal Package!